Activity in the "Writing World"
· And specifically, a talk given to bodies ranging from Rotary to Womens’ Instiutes, about my travel writing (e.g. A talk titled A journey into print). If I can help in this regard, just get in touch and we can talk. My book MAKE MONEY FROM YOUR WRITING is now out and available. Writing can be fun, satisfying and, sometimes, profitable too. Writing may be difficult, and certainly it must be sufficiently good to deserve publication, but making money from your writing is another dimension: it does not just happen. You need to work at it. You need to do the right things in the right way in a systematic manner. But it is possible, both to do the right things in a manageable way and to see some cheques at the end of it. · - Increase your strike rate and earnings. 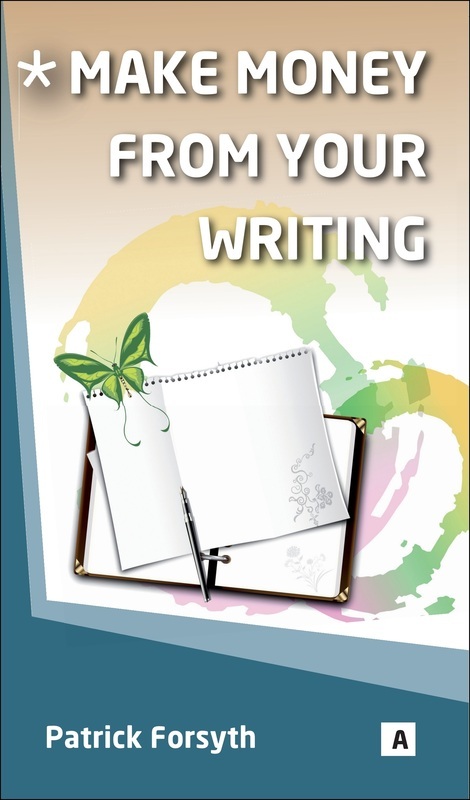 The tenure of the book is realistic and practical, ideas and approaches are tried and tested and the focus is on action that can make a difference; it provides a positive catalyst to help you make a profitable difference to your writing and your life. Published by Abel, the book is available from the author for just £9.99 post free (RRP £10.99).